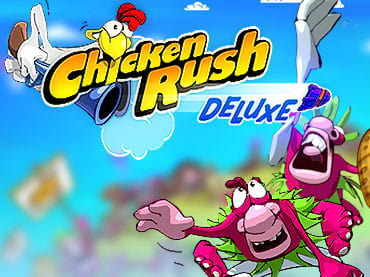 Chicken Rush Deluxe is the upgraded version of the original chicken game! This shooting mess will by all means captivate your attention and make you a little addicted. The plot of the story is typical for a Hollywood action movie: villains want to harm good ones and the latter need to protect themselves. The same happens to the hen in the game - she attacks the enemies until they are too close to her nest and chicken barn. - Two different game modes. If you have questions about Chicken Rush Deluxe game, please contact us using this form.